Nervous Water Fly Fishers is based in Honolulu, Hawaii. The shop is located at: 1215 Center St. #218 in Kaimuki, just north of Waikiki. 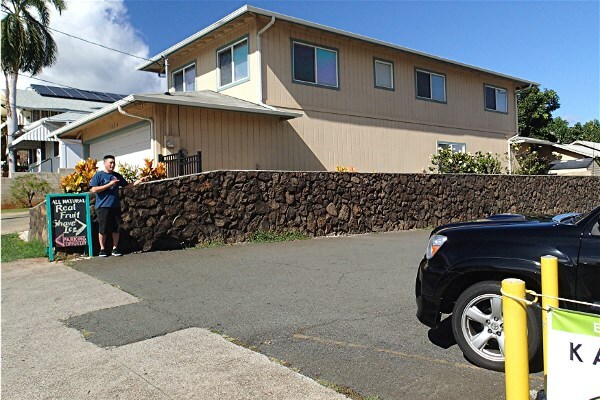 1215 Center St. is on the mountain (north) side of Waialae Avenue. The old Queen Theater and Bank of Hawaii share this intersection. We are just past Bank of Hawaii on the east side of Center St. Directions from Waikiki: Leave Waikiki via Kalaukaua or Kuhio Ave. Turn left onto Kapahulu Ave. Drive to the top of Kapahulu, go under the freeway, and turn right onto Waialae Ave. Continue east on Waialae Ave. until you reach the intersection of Waialae and Center. Turn Left. We are on the right just past Bank of Hawaii. Parking is on your left in the lot above the Bank of Hawaii lot. Directions from H1 headed East: Get off the freeway at the Koko Head Ave. (26A) exit. Turn left onto Koko Head. Turn left at the intersection of Koko Head and Waialae. Turn right on Center St. We are on the right just past Bank of Hawaii. Parking is on your left in the lot above the Bank of Hawaii lot. Directions from H1 headed West: Get off the freeway at the Waialae Ave. (27) exit. You will now be on Waialae Ave. Continue up the hill until you reach Center St. Turn right on Center St. We are on the right just past Bank of Hawaii. Parking is on your left in the lot above the Bank of Hawaii lot.